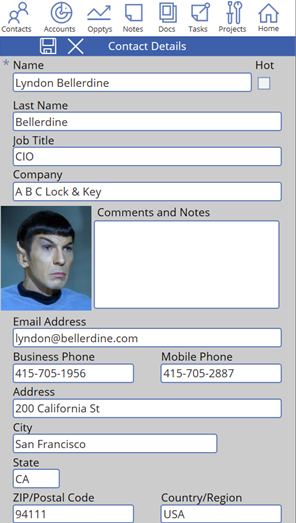 SideKick 365 CRM is a complete CRM solution that installs into SharePoint running in Office 365. 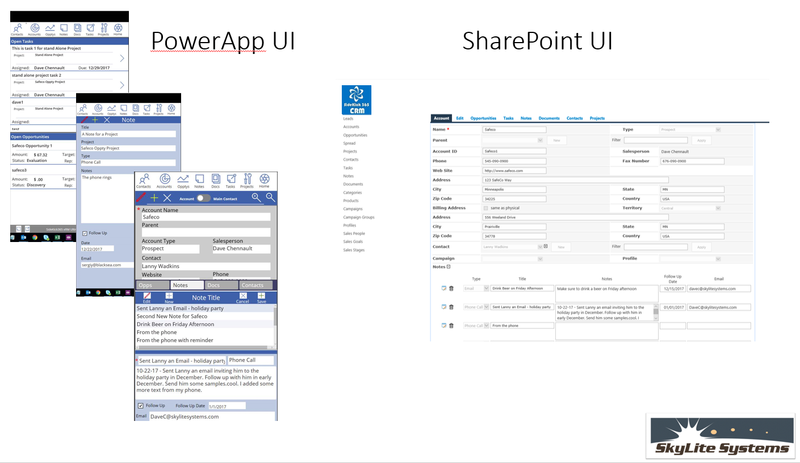 It is the first solution that leverages SharePoint and the Power Platform of PowerApps, PowerBI, and Microsoft Flow to deliver amazing functionality at a fraction of the competitions price. 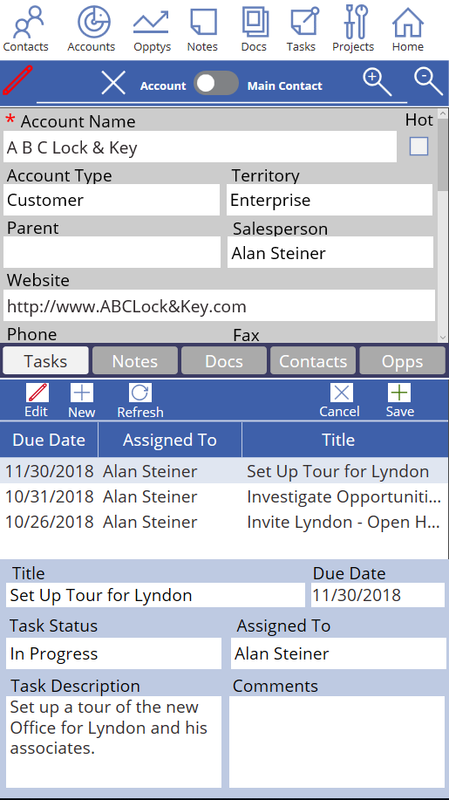 The Sample SideKick 365 CRM PowerApp in the Partner Showcase allows you to click through a static example of the PowerApp available our SharePoint based CRM solution called for SideKick 365 CRM. 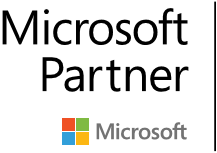 SideKick 365 CRM is available in the Microsoft SharePoint store. 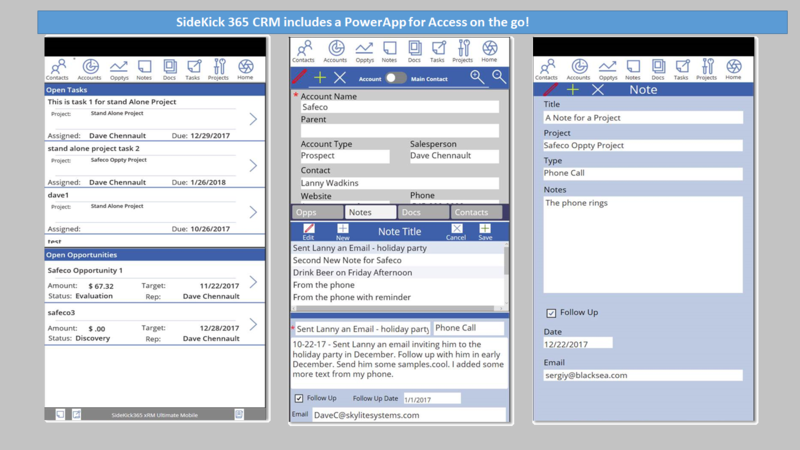 The fully functioning SideKick 365 CRM PowerApp is available at no charge by contacting SkyLite Systems. So what are you waiting for? Contact us today and we will send you a free Test Drive guide that will let you explore a fully populated SideKick365 CRM Test Drive and see if it fits your needs.